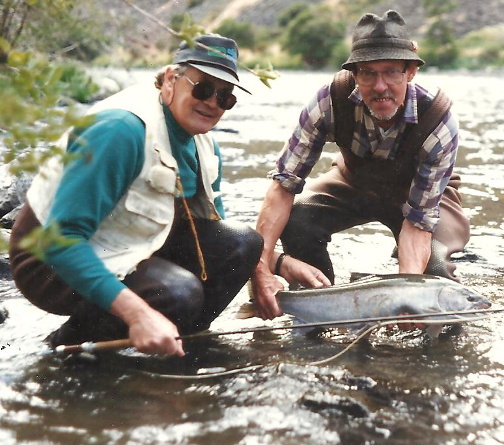 Tom was an unorthodox fly caster and broke all of the rules of proper presentation. His arms would flail right and left as he loaded the rod, and then he would cast the line in a wide open loop. It didn’t look pretty, but the fly would land perfectly on the water. No sooner had I got my fly unsnagged than I heard him yell, “Fish on!” I looked up and saw a nice steelhead cartwheeling downstream. I went to his aid and after 7 or 8 minutes he began to work the fish in. “Listen Tom,” I said. 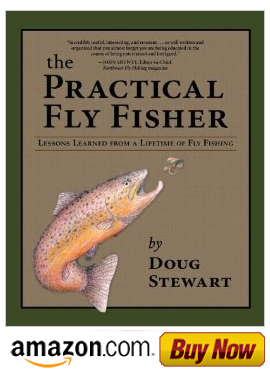 “Don’t put too much pressure on him because . . .” He cut me off and snapped back, “Doug, you've got some nerve for a guy who can’t cast. With a wry smile on his face, he brought in a nice 10 pound fish and I helped him land it. As we admired the fish, I realized that I had just received a good lesson in humility.